What does your weekly horoscope reveal? There was definitely no one else in the room. - by that's life! 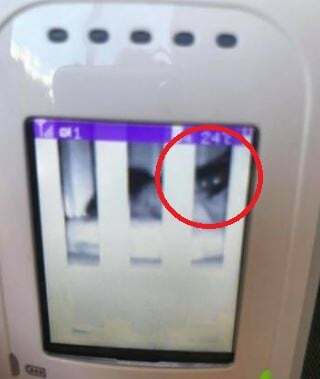 A mum has shared a startling photo of her baby monitor that looks to feature a completely unexpected presence leaning over her tot. According to Mamamia, mum Rebekah posted the snap to a Facebook mum’s group saying: ‘“I had my phone in my hand so I snapped a few pictures before running upstairs to see if she was okay and to see exactly what it was." When she got up there there was no extra presence - and she does not own a cat. She then guessed maybe the eerie bright eyes were the light reflecting off the eyes of a doll. Unable to account for what the creepy shape with reflecting ‘eyes’ actually was, Rebekah is toying with the idea that she saw something paranormal.